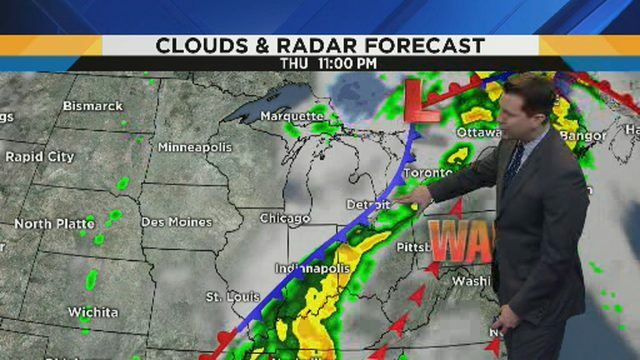 DETROIT - Much needed rain is here, but it falls when most Motowners have the day off. Saturday will be wet with showers and a few thunderstorms. Our lawns and gardens will be happy through Sunday, too. Saturday morning will have scattered showers and warm conditions. Temps start in the 60s, then rise to the mid 70s by lunchtime. Drivers need to use caution on wet roads. As low pressure continues to spin over Michigan in the Great Lakes Saturday afternoon, Southeast Michigan will have on and off showers. Some will be heavy at times with a few thunderstorms. With overcast skies most of the time, temperatures rise only to the upper 70s. 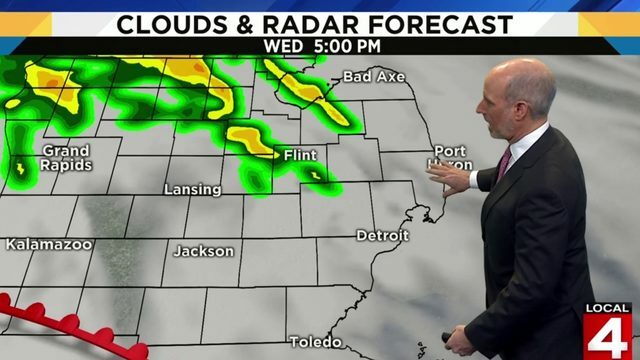 Families, including art lovers and baseball fans, will need there umbrellas and ponchos to stay dry and comfortable when they attend the Ann Arbor Art fair or the Tigers game against Boston at Comerica Park in Downtown Detroit. First pitch is at 6:10 p.m.
Sunday will be damp in the morning. Rain is possible, and showers become more scattered in the afternoon. Highs in the upper 70s again. Early next week will not be as much of a wash out. 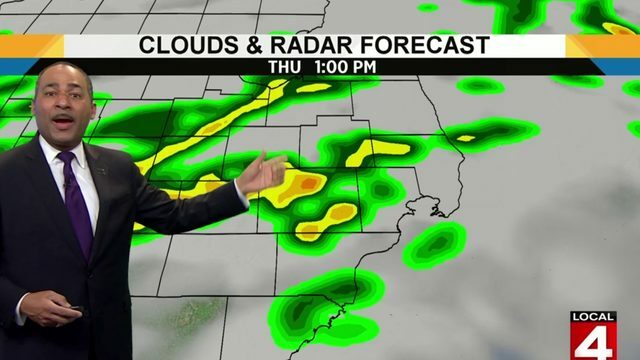 Monday and Tuesday will have on and off showers, but skies will be mostly to partly sunny. It will be warmer with highs in the low and mid-80s. Wednesday and Thursday will probably be mostly sunny and much warmer. Afternoon temps in the middle and upper 80s.